A U.S. government agency has extended ICANN's mandate to manage assignment of IP addresses and management of top-level domains for another six months, because none of the bidders for the role met its requirements. The National Telecommunications and Information Administration issued a request last year for proposals to manage the functions of the Internet Assigned Numbers Authority (IANA), but on Saturday it cancelled the request because none of the bids met its requirements. IANA is currently a department of ICANN, the Internet Corporation for Assigned Names and Numbers, which has managed IANA functions including management of the DNS Root Zone and assignments of country code and generic Top Level domains (TLD's) since 1999. 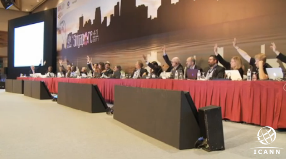 ICANN had bid to continue operating the functions, but its proposal, like those of three other companies, was rejected. The NTIA plans to reissue the request for proposals (RFP) at a date yet to be determined, and in the meantime has extended ICANN's mandate to operate the IANA functions until Sept. 30. The new contract was up for renewal in March. During the renewal process, the NTIA added new requirements to the IANA RFP, including the need for structural separation of policy making and implementation, and a robust company-wide conflict-of-interest policy. Also, provisions were made reflecting more respect for local country laws, and a series of consultation and reporting requirements were added to increase transparency and accountability to the international community. The additional requirements were added after a consultation with stakeholders around the world in anticipation of the impending IANA functions contract. Besides ICANN, provider USA Webhost, data services provider Bluemont Technology and information services company .Nxt also bid, but did not meet the requirements set by the NTIA. ICANN did not respond to a request for comment.